Sweet Smiles Candy – "Behind Every Smile is Something Sweet"
Come in and get yourself a sweet treat or have it delivered at your door. Take a look at some of the goodies we have in store for you! Get in touch, either online, or in person! "Behind Every Smile is Something Sweet!" 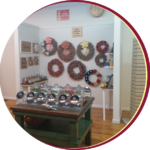 Today, Sweet Smiles is open with a variety of old fashion candies, ice cream, soda pop, fudge, and crafts created by local artisans. It is the simple things in life that brings joy to the hearts of many. This is our ultimate goal. There is nothing sweeter than a huge smile! Bob and Cindy Holloman look forward to meeting the many people who travel through historic Wilkesboro. 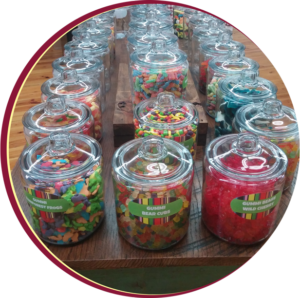 After visiting Sweet Smiles Candy Store, we guarantee you will leave with a smile on your face.